ALPINE, Calif. /California Newswire/ — Governor Edmund G. Brown Jr. today dedicated the Sunrise Powerlink transmission line in San Diego County, which will deliver millions of kilowatt hours of renewable energy, strengthen grid reliability during hot summer months and help California meet its renewable energy goals. The 117-mile, Sunrise Powerlink will eventually carry more than 1,000 megawatts of clean energy from solar and wind farms in the Imperial Valley to San Diego – enough to power over 650,000 homes. The transmission project – the first major new lines to connect to San Diego in over 25 years – will enable the local utility, San Diego Gas & Electric, to meet Governor Brown’s 33-percent renewables delivery goal by 2020. In April 2011, the Governor signed legislation requiring that one-third of the state’s electricity come from renewable sources by 2020, the highest renewable energy goal in the U.S. The Sunrise Powerlink consists of more than 110 miles of overhead 500kV and 230kV transmission towers and transmission lines, six miles of underground 230kV cables and a 40-acre, 500kV transmission substation. The California Public Utilities Commission, the U.S. Bureau of Land Management and the U.S. Forest Service all reviewed and approved the Sunrise Powerlink project before construction started. Following an extensive environmental review and permitting process, the project broke ground in December 2010. On June 17, 2012 the transmission line was fully energized and control was officially transferred to the California Independent System Operator (Cal-ISO). Construction of the Sunrise Powerlink adhered to some of the most rigorous environmental and cultural mitigation measures ever placed on a construction project of this type. The measures include enacting one of the largest natural land preservation efforts in the region’s history; identifying Native American cultural sites and preserving artifacts; creating no-fly zones around golden eagle nesting sites; establishing a 13-mile construction-free zone in Bighorn sheep habitat during lambing season; and deploying 400 environmental monitors to worksites. The ceremony was held at the Suncrest Substation in Alpine, California. 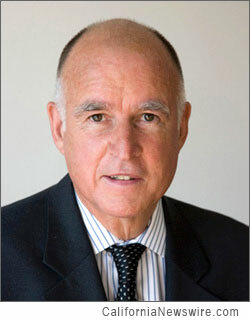 Governor Brown was joined by state, federal, local and business leaders for the dedication.